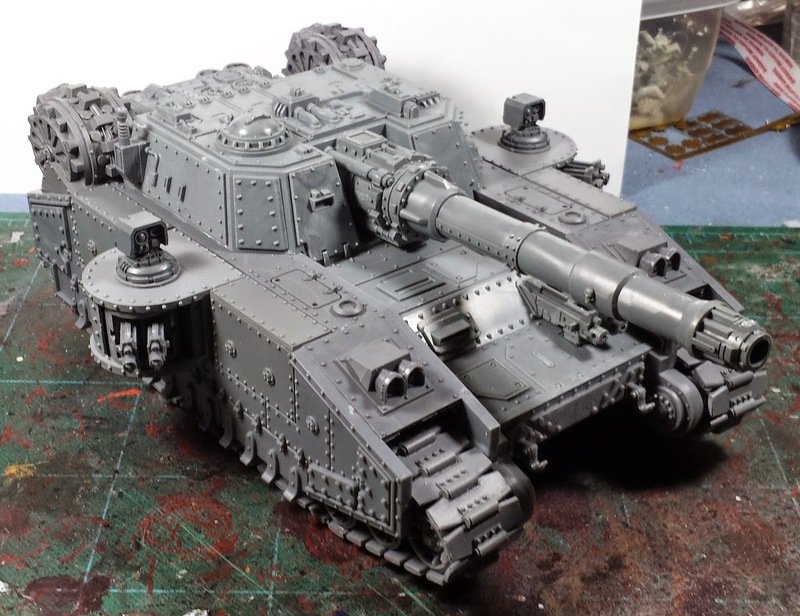 Mordian 7th Regiment: Heresy Era Thousand Sons - Spireguard Shadowsword build complete! Heresy Era Thousand Sons - Spireguard Shadowsword build complete! Couple little packages in the mail when I got home from work today, the missing leg piece for the Reaver (pics of that to come), and the targeters for the Shadowsword. As I didn't have much hobby time this evening, I settled on clipping out and gluing on those rather than dive into the major construction project that the Reaver will undoubtedly be! Building out the targeters took all of ten minutes, not super exciting but good to get a little bit of hobby time in. They could stand to be just a little bigger perhaps, but overall I'm quite happy with how they turned out! They're predicting another 50F day tomorrow which is on the bottom end of what I consider viable primering temperature, fingers crossed as they're saying it's going to be a winter wonderland for the week following Christmas - hope to get the builds from the last few posts primered so I'll have some stuff to paint over the holiday break while it's chilly! this is such an awesome job! nice work sir! Really awesome tank. Good luck with those rivets! Trip for priming, if its via can, you can put the can in hot water to bring it up to temp! Gives you a few minutes. @Greg Hess: Thanks man! That's a great tip on the spray primer! Targeters look great, where are they from? 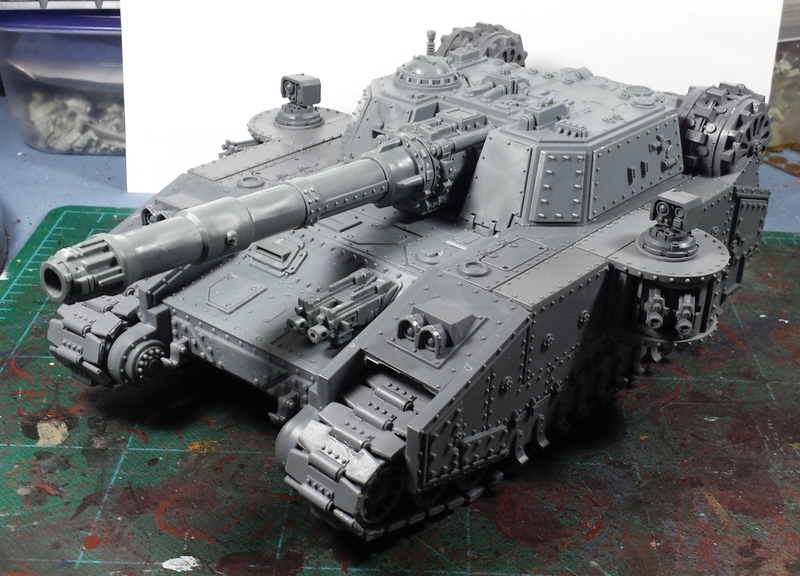 Hope the weather allows for primer, I want to see this painted! @Dave Henderson: Thanks! They're from the "Squadron Command Frame", which can be found under the Bits > Vehicle Accessories section on the GW site. @Dai: Cheers man! Looking forward to getting some paint on it, for sure! @Miniature Tim: Hah! Thanks bud!